Hello fellow card makers. 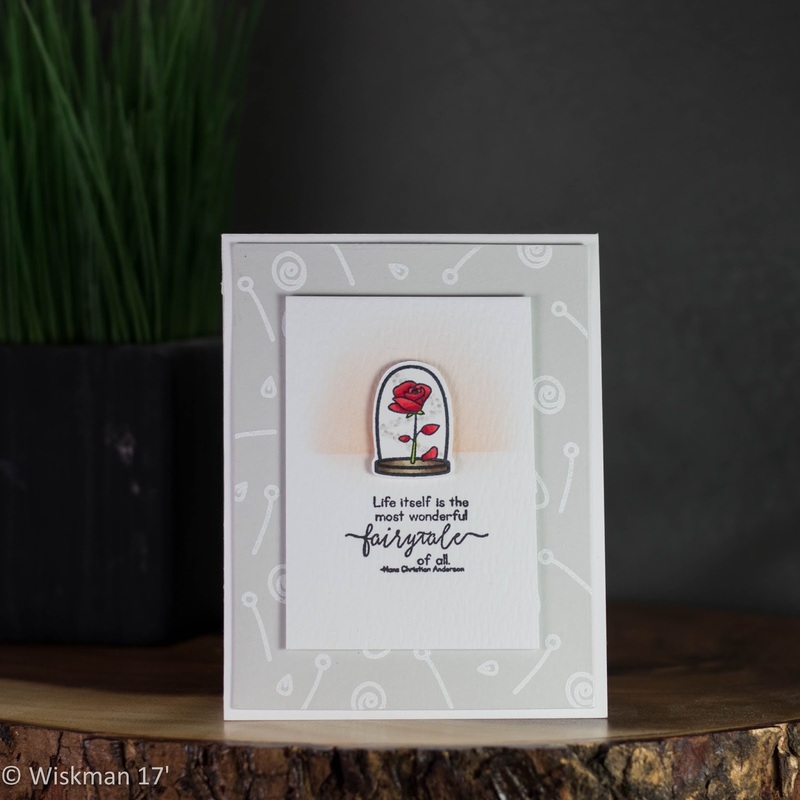 Today I am sharing a card that I made with Sweet Stamp Shop products . I used stamps from both the Prince Charming stamp set and the Wear a Crown stamp set. 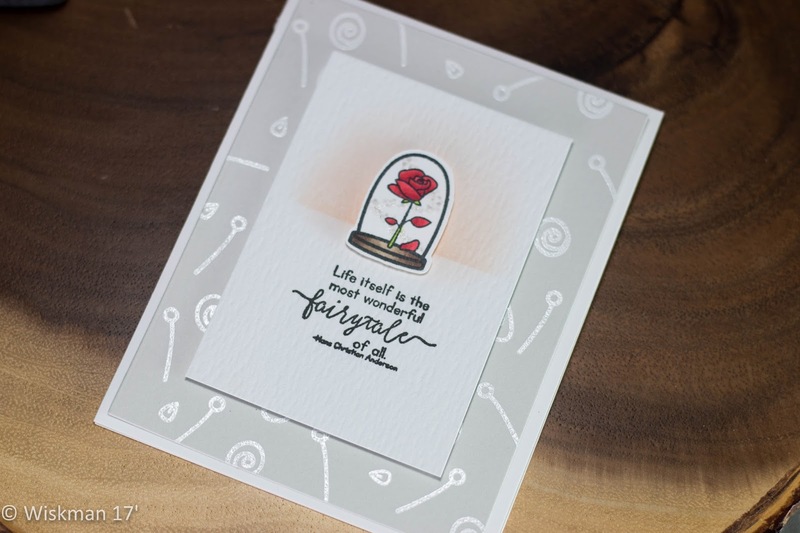 Using these stamps I created a card that reminds me of the Disney classic Beauty and the Beast. 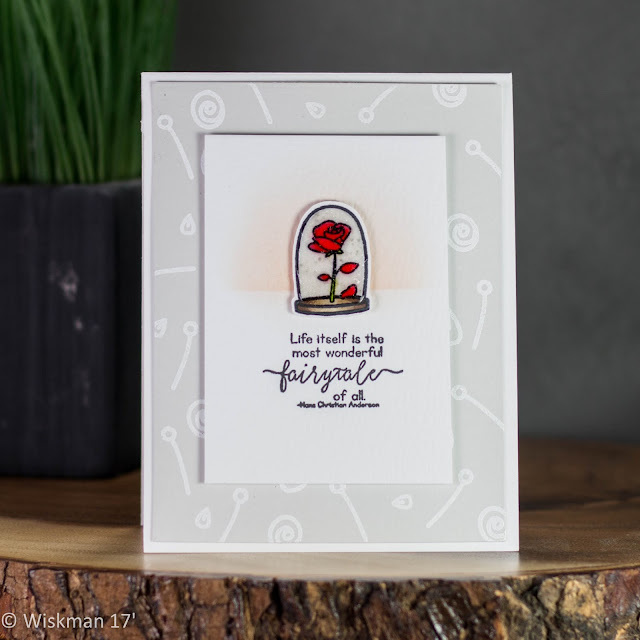 The main image on the card is reminiscent of the flower from the story. The background was created using similar images of an empty flower stem and some roses and falling petals. I recently saw a card made by one of MFT's design team members, Joy (Simple by Design), that created a custom background by white heat embossing images in this same way. I was inspired by her card to create this one. Below are photos of my project, a link to my YouTube Video, and a complete list of supplies. The first card I created I used Glossy Accents all over the image to make it appear like glass. I didn't like how it turned out and re-colored the image, this time forgoing the use of the Glossy Accents. I'm not sure if it was a great move. I would be interested in hearing your opinions. Leave a comment below or on my YouTube Video letting me know which one you prefer, the with or without Glossy Accents.